Established in August of 1944, the mission of the Southern Conservation District is to provide local self-government leadership and initiative in the development and conservation of soil, water and related resources. A balanced planning, education and management program that protects, restores, and improves those resources will be accomplished in cooperation with landowners, government agencies and private organizations. The Southern Conservation District will begin taking applications for the state Emergency Assistance for Revegetation Program beginning at 8:00 a.m. on April 17 at the SCD office, 463 Ragland Road, Beckley, The district will take applications on April 17th, 18th, 19th, 23rd, 24th. and 25th. The SCD will be closed on April 22 due to a District event - applications will not be taken on this date. For more information please call the SCD office at 304-253-0261. 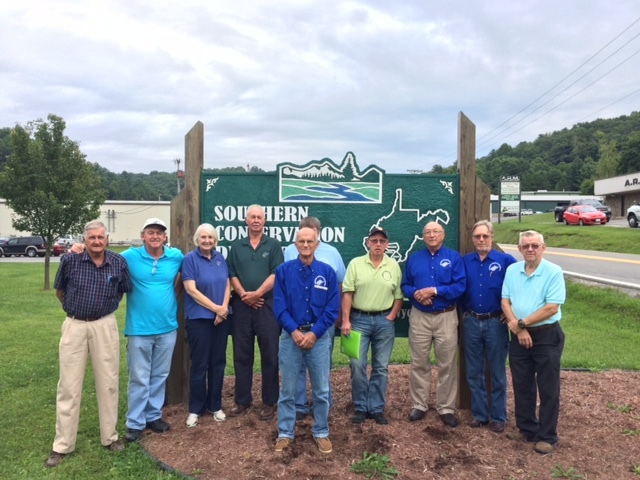 The Southern Conservation District will be holding a special meeting on April 19 2019 at the SCD office, 463 Ragland Road, Beckley, WV The meeting will begin at 10:00 a.m. The agenda is posted at the SCD office. Please find attached the SCD approved minutes from the 3-14-19 board meeting. Please see attached file for information on the Raleigh County SCD Supervisor Vacancy. Southern CD will be holding a special board meeting on April 16, 2019 at the SCD office located at 463 Ragland Road, Beckley, WV. The meeting will begin at 10:00 a.m.